Another Hard Day at the Office came about after we were fortunate enough to spend more than just a couple of weeks away in the Mountains at one time. The actual concept of "The Office" was based on my good friend, Per As, a Mountain Guide I have known for many years in La Grave France, whose office is the magnificent La Meije. I would get the occasional email or telephone call and he would ask how things were and I'd reply "Oh stuck in the office etc" and then he'd say that his office "Was pretty good today, 45cms of fresh powder and blue sky". As we exchanged our London commuting lifestyle so we've been able to take advantage of working from home and living on the beach. Now when I speak to Per and he asks how things are I can reply "Pretty good day in the office, stacked on a 6m kite and some good little waves". Again this winter for the season we will be transferring to our alternative office, in fact not far from Per's, in Villeneuve, Serre Chevalier, France, where we (the Mrs) run the Online Mountain magazine, Style Altitude and I can continue to blog and do daily weather updates, but snow related, though I do keep naturally abreast of what we might be missing back in the UK! Photo taken from inside our office! Style Altitude - is a spin off of Another Hard Day at the Office run by my other half, Elaine Deed, who has quite a pedigree in fashion and journalism, hence the quality of the features and articles and its focus on Mountain Style. As Style Altitude preaches, it doesn't matter if you are 16 or 60, spend one week in the mountains or a whole season, ski or snowboard, so long as you do it with style. Style Altitude covers all aspects of ski and snowboard style with style news, technical trends and gear guides. Meanwhile, our Friends In High Places report on epic ski and snowboard trips such as the Antarctic plus the inside track on resorts. Style Altitude also features a streaming WeatherCam and daily updates on snow conditions as well as the continuation of the Mountain blog whether it be a full on Blue Sky Powder Day, (or white out) or a classic snow touring trip in the Spring. 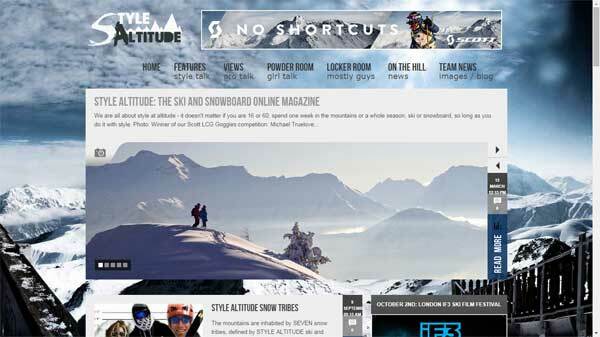 Style Altitude the ski and snowboard online magazine that features all aspects of mountain adrenaline style. 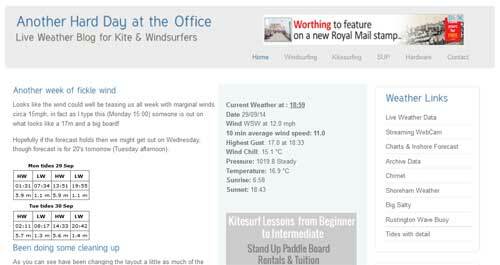 The "One and Only" Worthing WeatherCam Blog Page. The Worthing WeatherCam was one of the first in the UK and has been running in various guises since 1995! In fact I'm pretty sure that I coined the phrase "WeatherCam"! As well as the live weather data feed which updates every minute there is a streaming cam along with the all important weather data archive, daily blog and eyeball report. Depending on the time of year (and if I'm in the country), if there's the potential for wind and or it could be helped by the World famous "Worthing Effect" then regular updates throughout the day ensure you're aware of what's going on. 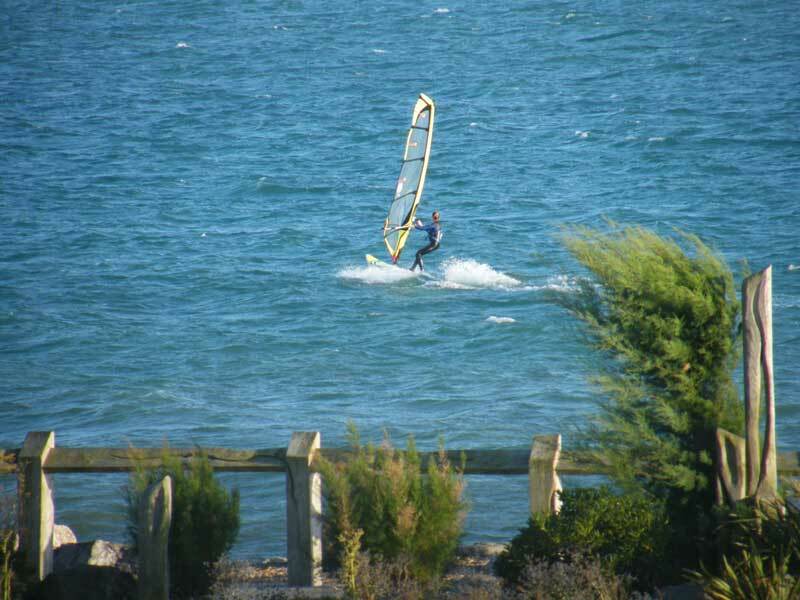 Plus photos of the day's conditions / action on the water. © 2014 Another Hard Day at the Office Website build by Gavin Baylis.